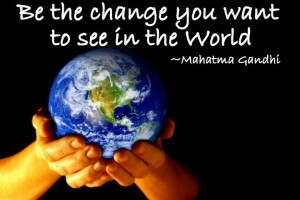 BeyondHousing is committed to addressing housing affordability, tackling homelessness and fostering housing stability. We are known for our progressive and compassionate approach to working with people experiencing homelessness and housing disadvantage. 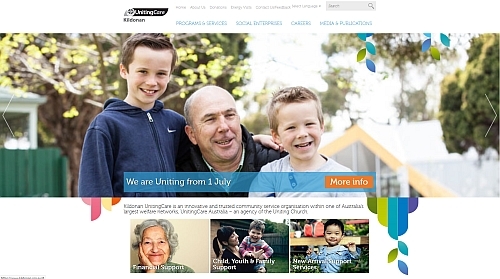 We are the largest community housing organisation within the Goulburn and Ovens Murray regions of Victoria. We own or manage over 700 properties including long term community housing and transitional housing. We are the main entry point for the homelessness system and provide a range of supports for people who are homeless or at risk of homelessness. Each year we see over 5,500 people in need of assistance to secure or maintain their housing. 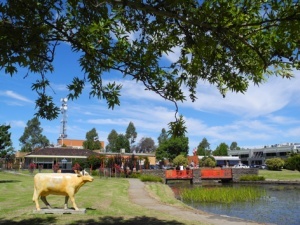 We have over 50 skilled staff supporting offices in Wodonga, Wangaratta, Shepparton and Seymour. 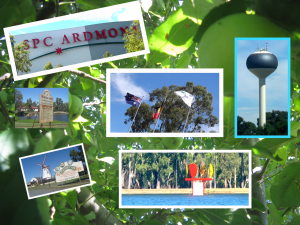 We also provide outreach to Wallan, Broadford, Kilmore, Alexandra, Yea, Myrtleford, Yarrawonga, Cobram and Benalla. 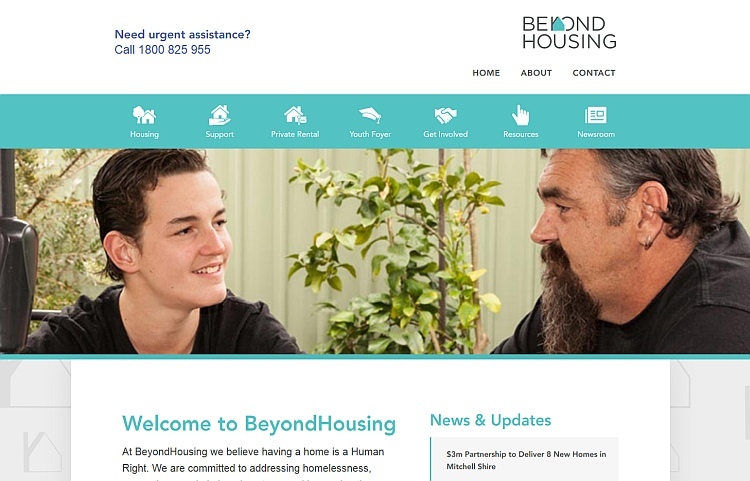 BeyondHousing is a registered Housing Association in Victoria and we have achieved accreditation for Human Services Standards. Ethnic Council staff assist members and community organizations to make application for grants funding, to become incorporated associations, organize events and generally provide support in a diverse range of activity. 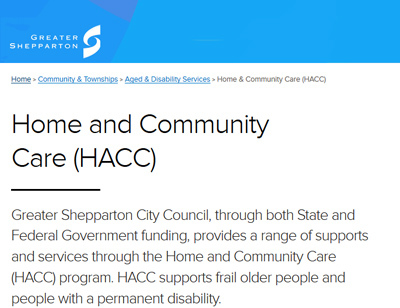 The Ethnic Council has funding from the Department of Planning and Community Development to support, extend and sustain community activity in CALD communities to better share information and resources and to strengthen community connections and partnerships. The Ethnic Council provides a fee-free Migration gent's service offering information and advice concerning immigration matters. Sa'daat Foundation is a unique organisation established to make a real difference in the community. We are truly a multicultural, multi-ethnic, faith based organisation that represents all of the multicultural Islamic Community. Unitedly we advocate issues, develop projects and organise events that no other Islamic organisation in the region has been able to do in the past. We persevere in the interest of the community. We advance education by providing life-skills training to young migrants and humanitarian refugees that experience multiple barriers so they can succeed in education, reach their full potential and contribute to the community. We improve social cohesion by facilitating the positive transition of new arrivals into our communities. 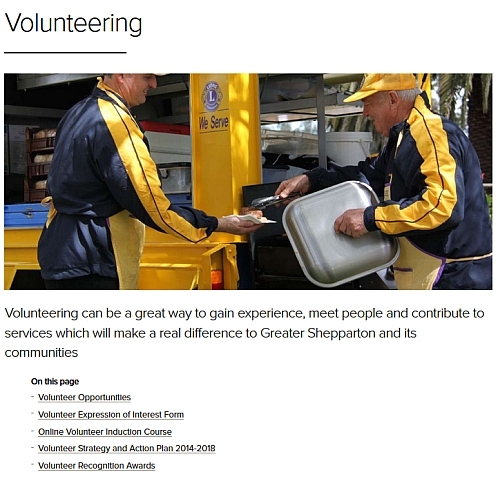 Volunteering can be a great way to gain experience, meet people and contribute to services which will make a real difference to Greater Shepparton and its communities. 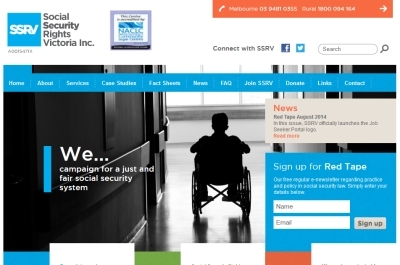 people with a disability and their carers across the Moira Shire". 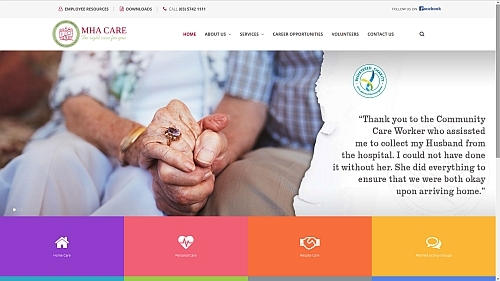 To deliver these services, MHA Care employs 70 Community Care Workers, 28 Administration Staff and a team of 500 Volunteers. The Equal Opportunity Act 2010 makes it against the law to discriminate against people on the basis of a number of different personal characteristics. 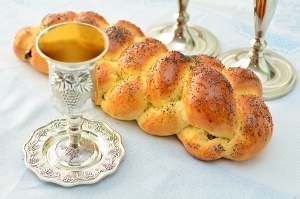 The Racial and Religious Tolerance Act 2001 makes it against the law to vilify people because of their race or religion. 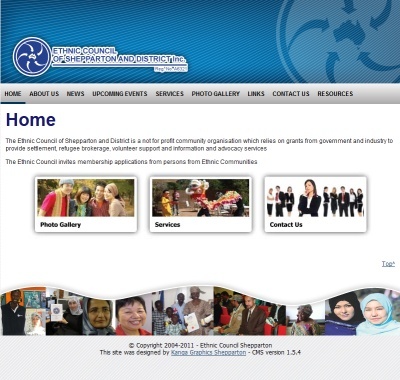 Under the Equal Opportunity Act 2010 and the Racial and Religious Tolerance Act 2001, the Commission helps people resolve complaints of discrimination, sexual harassment and racial or religious vilification through a free and impartial complaint resolution service with the aim of achieving a mutual agreement. 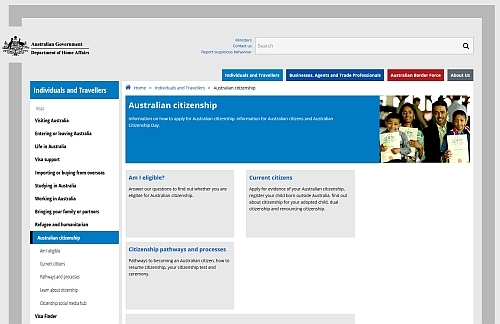 The Charter of Human Rights and Responsibilities (the Charter) means that government and public bodies must consider human rights when making laws and providing services. The Commission's role is to educate people about the rights and responsibilities contained in the Charter and to report annually to the government about the operation of the Charter. The Commission does not handle complaints related to the Charter. 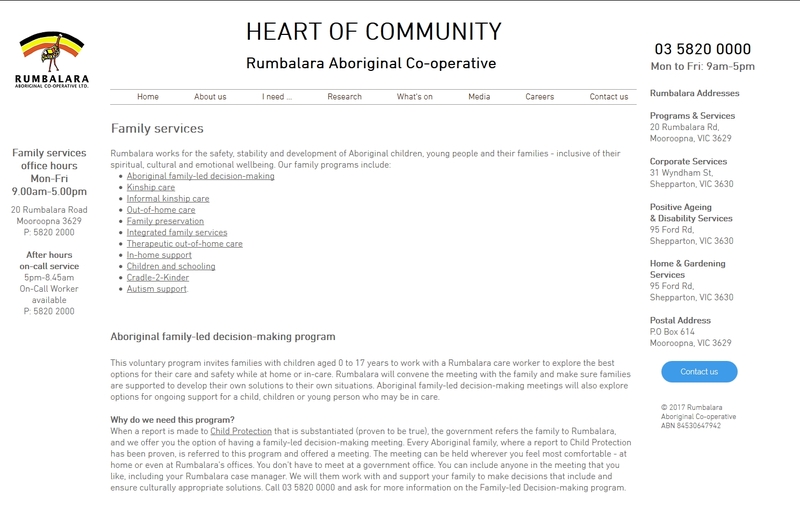 Rumbalara Aboriginal Co-operative views the poverty, emotional wellbeing, and mental-health issues experienced by many Aboriginal families to be the result of intergenerational trauma and the dehumanising impact of colonisation. Consequently, our practice is informed by the 'consciousness-raising' techniques of Paulo Freire and uses an eclectic approach influenced by 'narrative and solution-focused' therapies. These therapies empower people with the knowledge and skills to overcome the multiple levels of oppression, commence healing, and achieve their full potential. Citizenship ceremonies are warm, friendly events where you celebrate becoming an Australian citizen. You might want to invite your family and friends to be part of this important step you are taking, and to celebrate your citizenship with you. Citizenship is conferred on applicants in Shepparton at the Eastbank Complex in Welsford St, Shepparton. Ceremony Commences at 10.00am and goes to 11.00am. 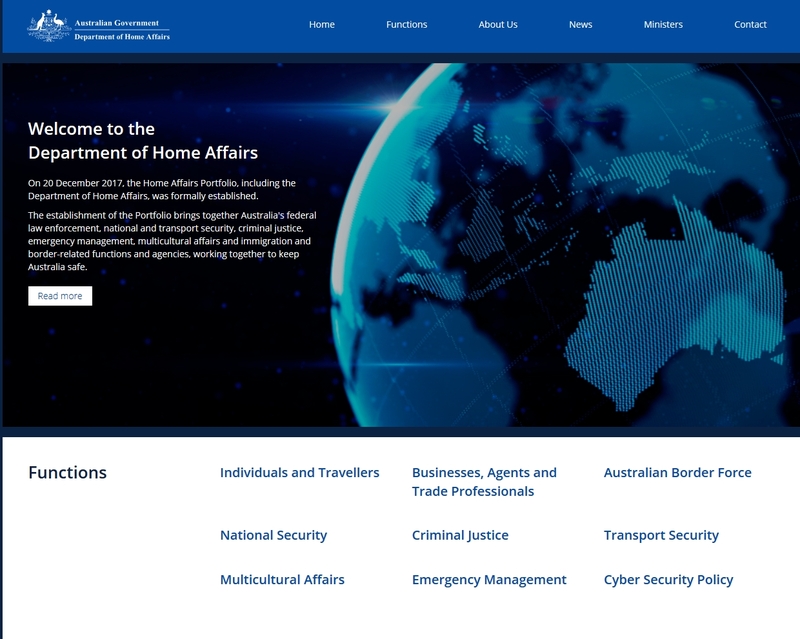 You can find more information from the Department of Home Affairs. 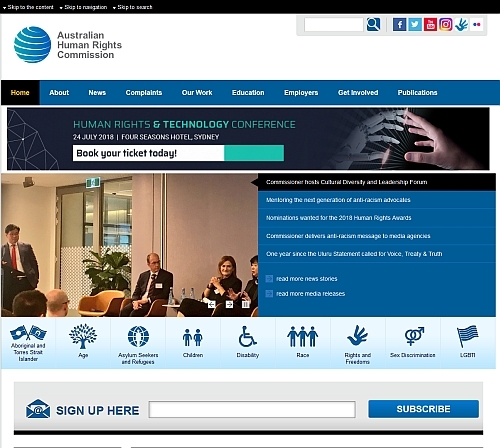 securing an Australian charter of rights. 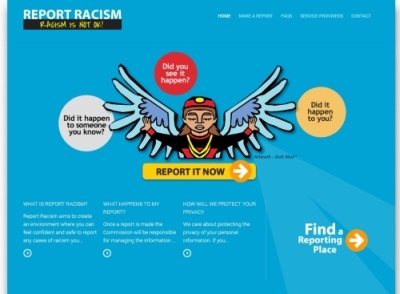 Report Racism aims to create an environment where you can feel confident and safe to report any cases of racism you experience or witness (including racial discrimination and vilification). 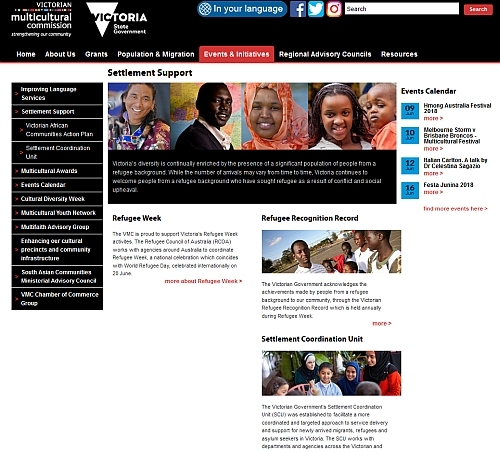 Report Racism is a third party reporting initiative which means that people can report racism online or at a local community organisation as well as directly to Victoria Police or the Victorian Equal Opportunity and Human Rights Commission. We are trialling this initiative with the Aboriginal community. The Commission has partnered with the Victorian Aboriginal Legal Service and Victoria Police. 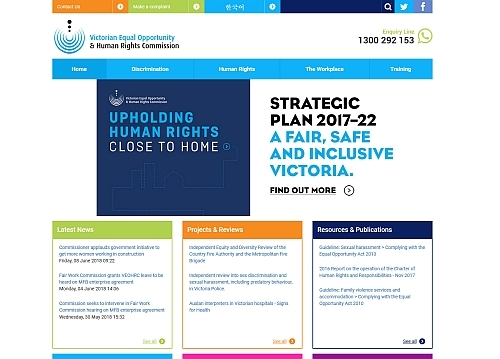 Report Racism is being trialled in two locations – Northern Melbourne (City of Yarra, Darebin and Whittlesea) and Shepparton. 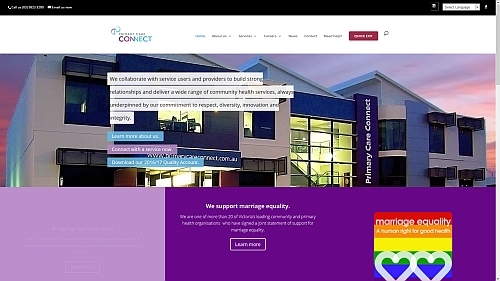 The Northern Melbourne scheme started on 21 August 2014. The Shepparton trial will commence later in 2014. It is expected that the trial will go for 6-12 months depending on take-up and response. The pilot will help us identify problems with the initiative and make improvements.